Come and cycle in the Czech Republic through lush river landscapes, picturesque villages, and romantic castles, immersed in a history and architecture that can be traced back to the Middle Ages. 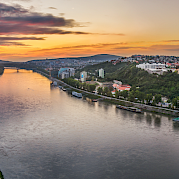 Prague is both the point of departure and final destination for this beautiful bike and barge tour along the Upper Moldova, Vitava, and the huge Elbe Rivers. When you see the bridges of the Vltava River ablaze with sunlight and the spires of the castle sparkling in the light, it becomes obvious why Prague is known as the ”Golden City” and the "City of a Hundred Spires“! 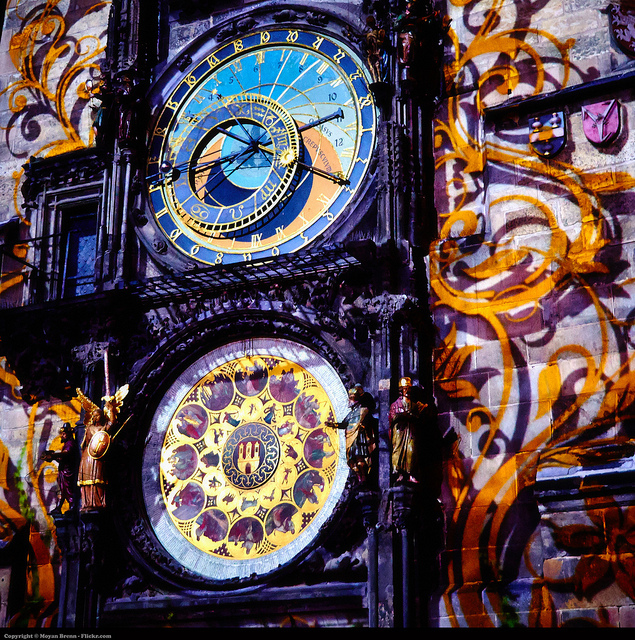 Multifaceted and unique, modern, yet traditional, Prague is one of Europe’s most beautiful metropolis. 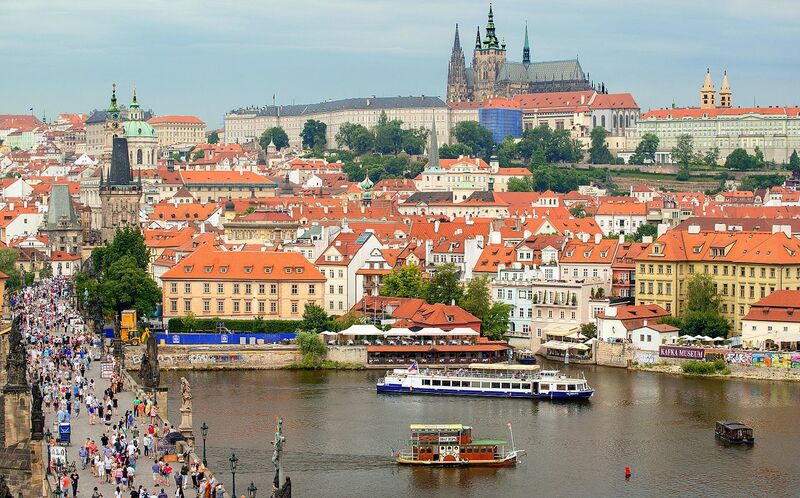 The MS FLORENTINA moors close to the infamous Charles Bridge, an ideal springboard for exploring this gorgeous city; the marvelously restored Market Place, the busy Wencelslas Square, or the Jewish quarter. 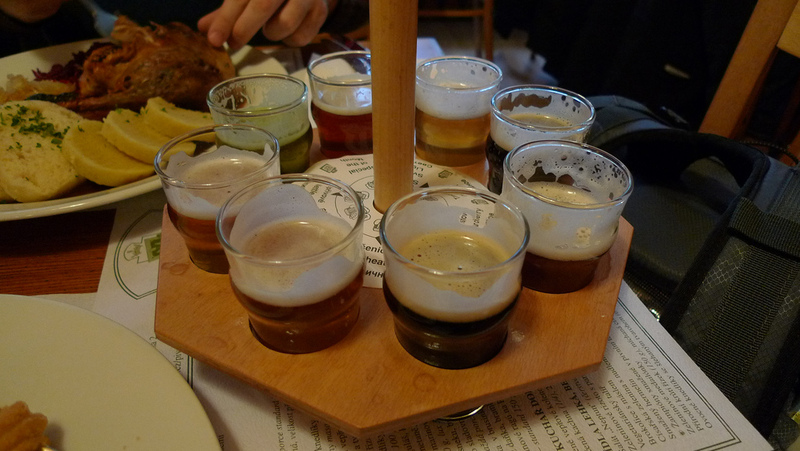 Good food and good beer are highlights as well such as the Czech amber nectar and regional favorites such as roast pork with dumplings! 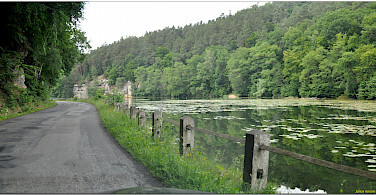 Be sure to check out all of our bike and barge tours in the Czech Republic. The closest international airport is Václav Havel Airport Prague, located 17 km north of the city. Please check local conditions before you arrival. A good website to use when researching climate in a region is www.weatherbase.com. 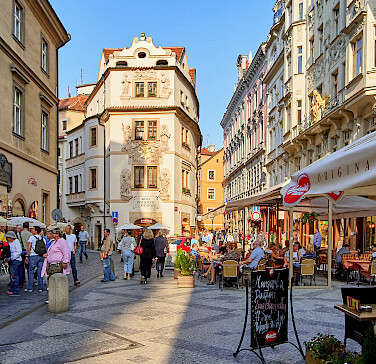 Average high/low temperatures in degrees Fahrenheit for Prague in the time of travel are: June, 69°/51°, July, 72°/54°, and August, 73°/53. This is an easy self-guided bike and boat tour. *Subject to change. In the event of low or high water levels or adverse weather conditions a route cannot be taken, the captain reserves the right to change the route for your safety (this would not be a reason for fee-free cancellation). 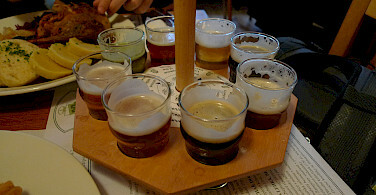 Individual arrival in Prague. Embarkation begins at 4 pm. Highly recommended this evening is a stroll over the Charles Bridge, particularly beautiful in the dark, and enjoy the stunning view of the illuminated Prague Castle. 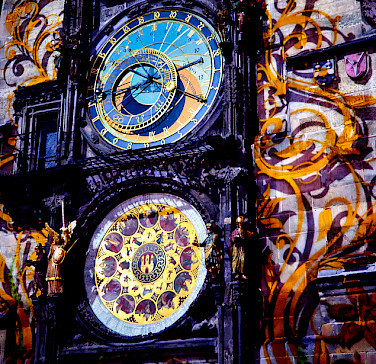 The morning is at your disposal and you have enough time for a nice little walk through Prague. Then you will be handed out your bike and start your first cycle tour. 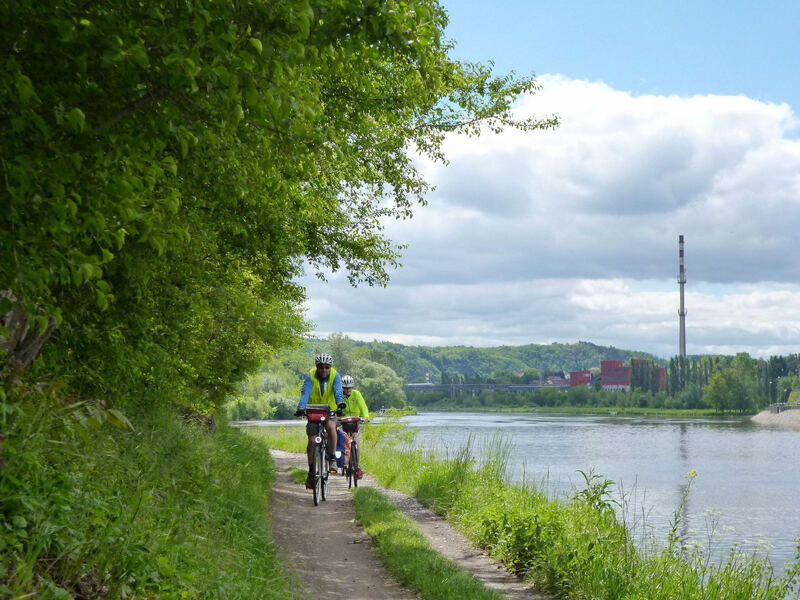 Today you will cycle along the Vltava River via Troja, known for its Baroque castle and National Art Gallery, to the village of Klecánky, over the bank of the Vltava via Drasty, onward to Vodochody, and finally back on the river bank to today's destination Kralupy. Arrival at the ship at approximately 5 pm. 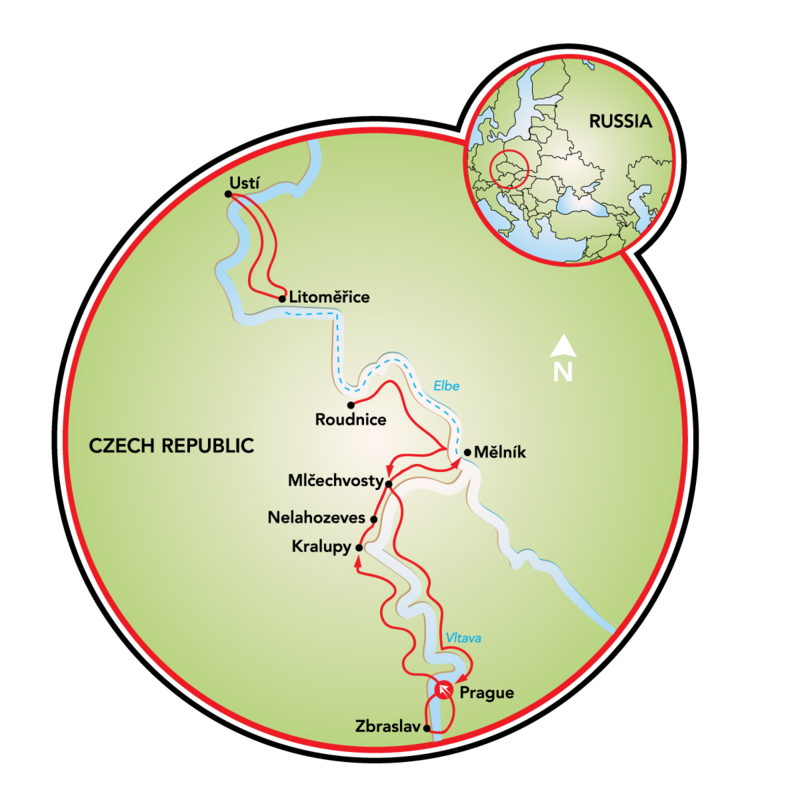 Today's cycling begins at 9 am, almost exclusively along the Vltava River to Nelahozeves. 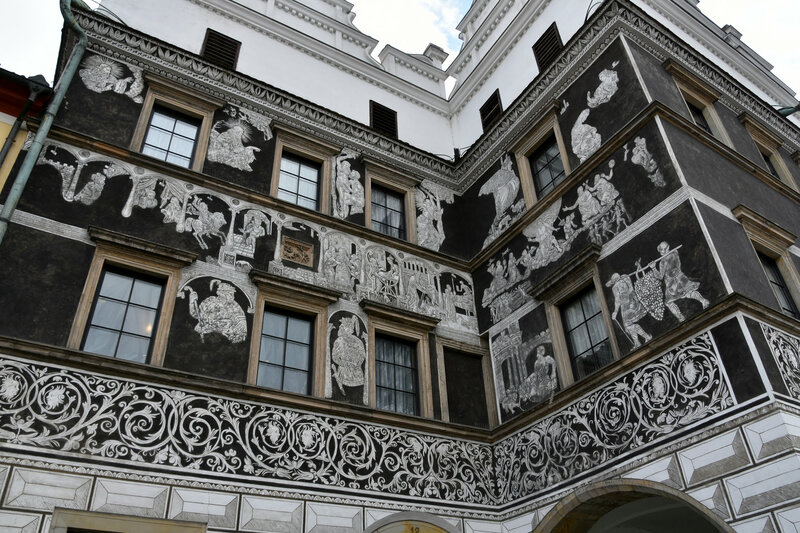 Optional visits to the birth house of Antonin Dvořák and one of the most famous Renaissance castles of Bohemia, also known as the “little Louvre of Czechia” is possible. The route leads through Veltrusý Park, with numerous sculptures and gazebos, on varied terrain, up to the royal town of Mělník. The ship is reached and boarded again at 1.30 pm for boat trip on the Elbe River to Litoměřice. 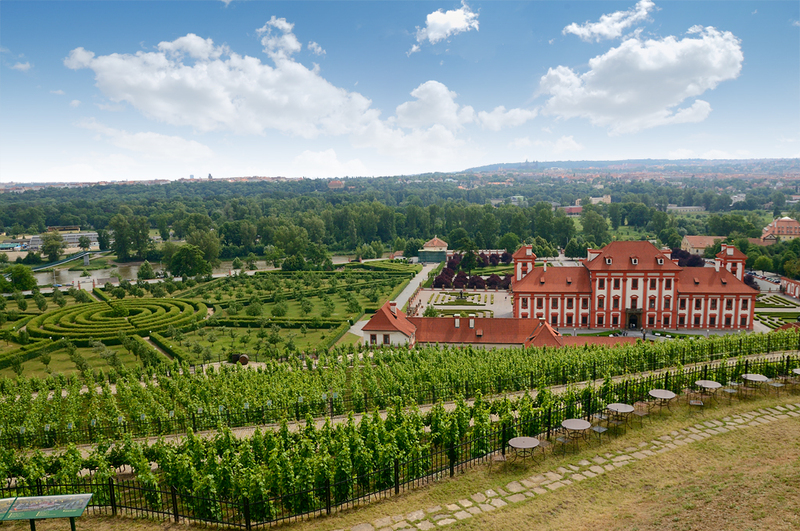 No bike ride is scheduled this day but an optional guided walk is on the agenda during which you will have the possibility to discover one of the most beautiful Czech towns, the royal town of Litoměřice. The colorful Gothic, Renaissance and Baroque buildings in the town center, which for the most part is encircled by well-preserved Gothic fortifications, will enchant you. Well worth seeing are the Baroque Cathedral of St Stephen atop the dome hill, the historic underground (extensive tunnel system), or the Bishop’s residence. You might also be interested in a cycle tour to the Terezín Memorial (Theresienstadt) in the village of Terezìn. The concentration camp memorial is located only 5 km away. 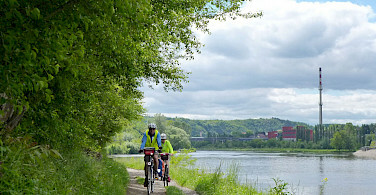 The more advanced cyclists may feel to cycle to Ustí - idyllically situated in the narrow valley of the Elbe river – via the old castle ruin Schreckenstein and back (55 km). The MS FLORENTINA will moor overnight in Litoměřice. Early in the morning, the ship will take you to Roudnice. Daily cycling begins around 9:00 am. 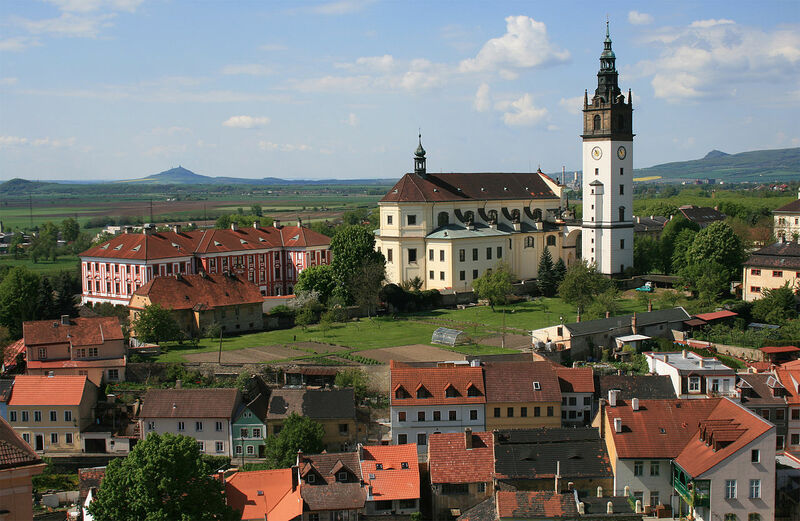 The route leads mostly alongside the Elbe, via Dobřín, Račice, and Vliněves, you cycle back again to the lovely village of Mělník. On a guided walk (optional) enjoy the splendid panoramic view of the confluence of the Vlatva and Elbe River from the top of the castle hill. Afterwards, have coffee and cake in the castle-patisserie. You continue cycling to today’s destination, Mlčechvosty. The boat arrives at approximately 4:30 PM. Today you can go for a last bike tour via Nelahozeves, Kralupy, Chvatěruby, Vodochody, Drasty, and Klecánky to Prague or you relax on the sun deck. You will arrive at Prage at approximately 3:30 PM. 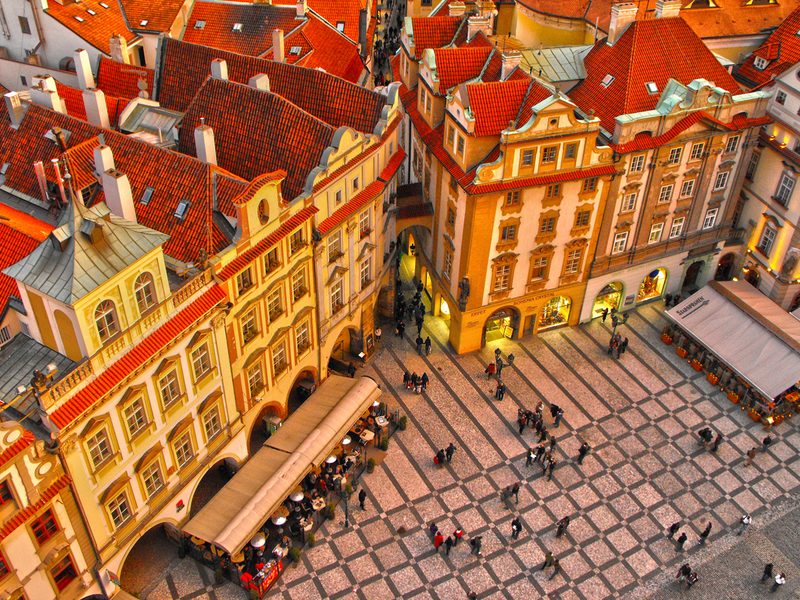 The rest of the day is reserved for Prague. In the morning, there will be an optional guided walk to discover the right bank of the Vltava River, the highlights of the Old Town, the New Town and the Jewish Quarter (duration approx. 2 hours). Visit the Prague Castel with the Golden Lane, the Powder Tower, just meander along the streets or watch the lively goings-on sitting in one of the cafes on the Old Town Square. There are countless possibilities! If you feel like cycling today, you can bike upstream along Vltava River to Zbraslav and back. A trip to Vyṧehrad Castle is worthwile. It was built, probably in the 10th century, on a hill over the Vltava River. 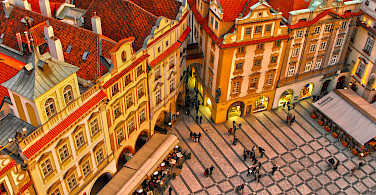 Local legend holds that Vyṧehrad was the location of the first settlement which later became Prague. Disembarkation by 9:30 AM following breakfast. Old-New Synagogue in the Jewish Quarter – the oldest surviving synagogue north of the Alps (guided tour does not include entrance fees or visits). 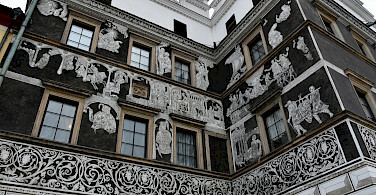 Visit Nelahozeves Castle, one of the most beautiful Renaissance buildings in the Czech Republic. It belongs to the Bohemian Noble family of Lobkowicz, which has played a decisive role in Central European history for over 600 years. The Lobkowicz family has supported scientists and artists, as for instance Ludwig v. Beethoven. After the visit to the castle, explore the museum and birth house of the famous Czech composer Antonin Dvořák, which is located just below the castle. You will start your tour walking with your tour guide from the mooring place to the town center. The royal town of Litoměřice with its colorful Gothic, Renaissance and Baroque buildings is one of the most beautiful towns in the Czech Republic. 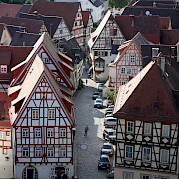 On your walk you will pass the Town Hall, built in Saxon Renaissance style, the "Kalich"(Chalice) House, where rich townsfolk used to meet over a glass of wine, the plague column and some important churches like the Baroque Stephen's Cathedral. Afterwards, explore the historic underworld, well worth seeing, which belongs to the most extensive underworld networks in the Czech Republic. (366 m are accessible to the public). Meeting point for today's tour is the castle courtyard. Discover the picturesque town of Melnik on a guided walking tour. 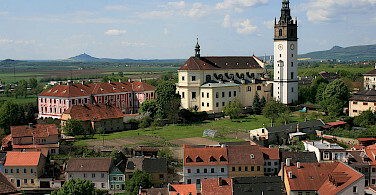 See the Town Hall, the Capuchin monastery, and the central square of the town, Náměstí Míru, among others. Then take a stroll up to the castle. 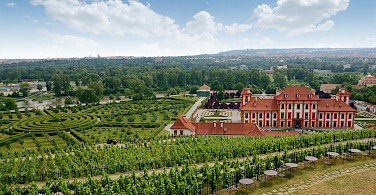 The Renaissance castle in Mělník together with the St. Peter and St. Paul Churches are the region's landmarks. 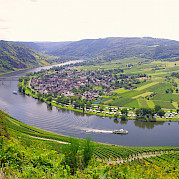 From the castle hill, you have a marvellous view over the confluence of the rivers Vlatwa and Labe (Elbe). During the castle tour, explore the rich collection of paintings and furniture of the Lobkowicz family. After the tour, you can fortify yourself with a coffee and a cake in the castle's pastry shop (price includes 1 espresso + 1 piece of cake per person). The excursions have capacity limitations – In some cases, short-term reservations may not be considered. We recommend that you attend the tour information sessions. The sequence of the program may vary. Once an excursion has been booked and paid, no refunds will be given (unless the minimum number of participants has not been reached). Please note that, for instance, due to weather conditions or lock closures, the scheduled program may change as well as the location of boarding and disembarking. All guided tours are conducted on foot with some climbs or stairs to navigate. Itinerary as well as tour programs are subject to change. Slight changes are possible in 2019! Just finished this trip, in August 2017. We had a 2 bed (twin) room and had plenty of space for our suitcases and also to unpack for a week. Loved the international favor of all the guests, my group of 3 were the only Americans. Biking was easy but with a few challenging hills to keep you interested. Many people used electric bikes, but my 7 speed bike was fine. ( I bike in Northern NJ so I am very use to hills) Experience following a cue sheet would be recommended to anyone who goes on this trip. But most of the routes were easy to follow, although wrong turns is always part of the adventure! Although most of the information said Euros on board, you can pay your ship bill (bar bill) with Czech Koruna, Euros or Credit card. But any excursions you book had to be paid with Euro cash. Food on board was good and seconds were always offered. Boat is docked in the Old Town very close to Charles Bridge. Easy to arrange your own walking tours if you find like I did, the Read more… boat offered tours of Prague were a bit high. Wonderful biking in the county side, visiting Castles, and just enjoying the Czech Republic. We had a few grandparents and teen grandchildren on our trip. Each night our tour guide met with the English speaking riders to review the next day's route. I have done many bike and barge trips before, and this was the most comfortable barge I have been on. I would recommend this bike and barge trip for anyone who wants to enjoy Prague and the Czech Republic. In the height of the tourist season 4 of us booked the Golden City of Prague bike/barge and enjoyed every aspect of this route and three nights on the boat in the heart of city. 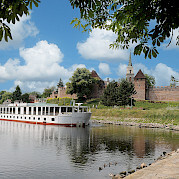 The Florentina is a fabulous accommodation for this venture up the Vltava and Elbe Rivers. The staff provide good but not obsequious service. The food served was a pleasant surprise and our guide was helpful and informative. I would recommend that bikers have experience in wayfinding or be able to download maps to assist them. Along with this skill, the presentations (in English) and the written descriptions/maps in the booklets kept us on track. Much of the bike trails are along the rivers' edge and the condition varied from paved to gravel to rough, but that just made it more interesting. All the Czech people we encountered were helpful and friendly. We enjoyed the historic towns of Litomerice, Melnick, the birthplace of Dvorak and the many Lobkowicz palace(s.) We did a short bike Read more… ride to Terezin and absorbed the ancient and recent history of this fortress. In Prague we especially enjoyed our tour of the Municipal House and a gallery exhibit of Mucha. For modern art and architecture seek out art installations by the contemporary artist David Cerny and the "Dancing House." I was very impressed with the hard work and pride of the Czech people and their commitment to building a new economy. Boat and crew were great. Biking and shore excursions were confusing. Explanations not always clear in English. Wonderful tour through the northern part of the Czech Republic. The local people are quite reserved. The boat works well as a big floating hotel and the crew is well trained. Lots of people to meet on board or along the way. 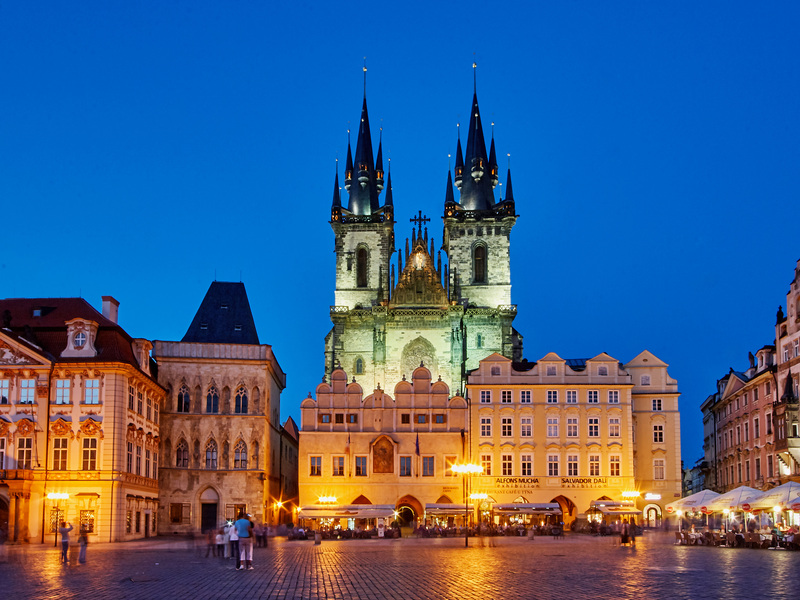 Prague really is the jewel in the middle of Europe. Pictures aplenty! I think the most memorable part was all of the different people from other countries that we met on the boat along with meeting and learning about the Czech Republic and their people! Great tours offered as well! Our first day was quite rocky… The directions were not good and the routes were not well marked. Everyone was frustrated. The guide promised to bike out again from Prague and redo it--hopefully that happened. I neglected to state how wonderful this trip was in my initial review, which focused on what was wrong instead what was right---which was everything else! We loved our French balcony room; though there were 75+ on board, one never felt it was crowded. The beautiful lounge at the front of the boat was often empty. The staff were great. Food just OK but still decent. The wine and beer helped! A diverse group of travelers which made it fun. Highly recommend this tour. Thanks for updating your review, Deena! Glad you enjoyed your trip overall. We hope to help you plan your next one! I have mixed feelings about this tour. The boat was nice- clean, and incredibly well run; the food was good. The Czech Republic was beautiful (albeit unusually hot) and we enjoyed the countryside and the towns. However, if you did not speak German, which was the native language of the tour guide, Hans, you were in for some difficult times. He was outwardly pleasant, clearly organized (although the trip sheets needed updating), and I believe he gave the updates to the German tourists. Unfortunately, he did not provide all of the info in English and it made things difficult for us. He said that the other Germans didn't like it when he gave the presentation and then gave it in English (to all of us together). At one point, we (Americans, Aussies and Swedes) took him to task and he had a meeting with us to discuss - but had difficulty accepting our point of view. Also, the tour excursions, which were supposed to be available in English, didn't all happen. So we missed Read more… some of the information that others received. Overall, we enjoyed our time but we had not expected this level of difficulty and I cannot in all good conscience recommend this one to English-speaking tourists. However, if the boat is contracted for anything else - you are in good hands there.